His Royal Highness Prince Maha Vajirunhis was the 20th child of His Majesty King Chulalongkorn and the eldest son of Queen Sawang Vadhana. As he was the eldest son to hold the royal rank of "Chao fa," as his mother was also of royal blood, he became the first Crown Prince of Siam. 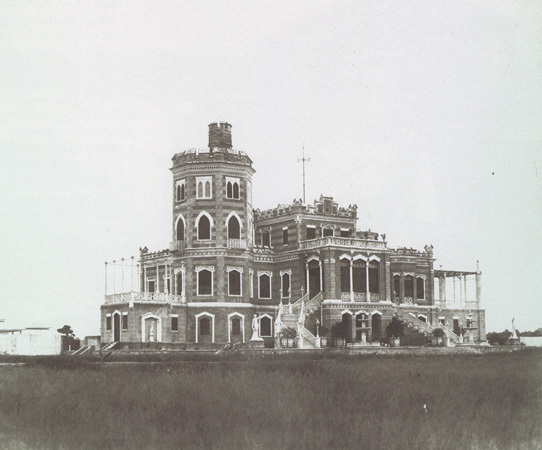 In the old Siam, there were no crown princes, but there was a title of Maha Uparaja, which was styled the front palace (Wang Na), acting as deputy to the king. 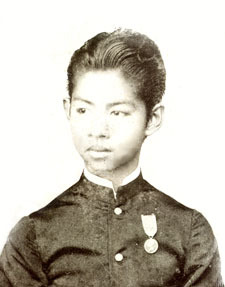 During King Rama V's reign, the king abolished the title of Maha Uparaja and hence, created the heir to the throne as the Crown Prince, son of a king who would be the next king. The royal ranks of Siam was extremely detailed and confusing. A child of a king and a mother of royal blood was styled "Chao Fa." A child of a king and a mother who is not of royal blood was styled "Pra Ong Chao." The Chao Fas were then considered part of the immediate royal family. They would then be first, second, third, and so on, in line to the throne according to their age. It was only until the present reign, with a king having just one wife, that the royal children are styled Chao Fas, whether the mother is of royal blood or not. The Crown Prince Maha Vajirunhis was a handsome and bright child, maticulously brought up to be the next king, following his father's footsteps in every way. Sadly, the young prince died unexpectedly in 1895, at the a tender age of 17, bringing great sadness to his family and the people of the kingdom. The palace, nicknamed "Windsor," was built by King Rama V for his first Crown Prince. 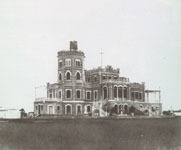 After the princes death, the palace was demolished, without having been lived in by the Crown Prince. The land where it once stood proud is now the National Stadium on Rama I Road, Bangkok.